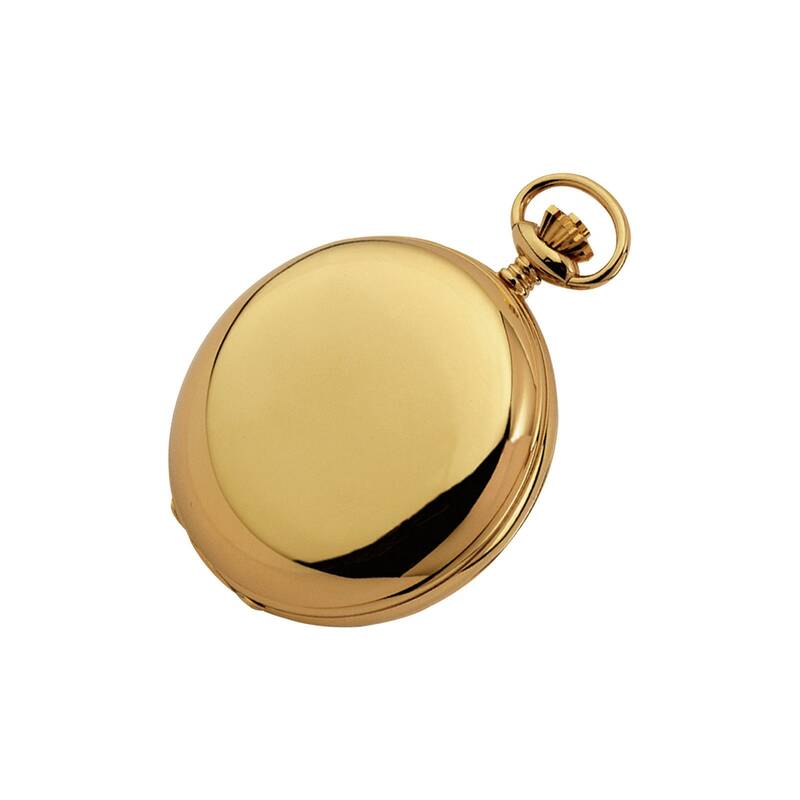 Gold plated stainless steel quartz full hunter pocket watch which can be engraved with your own personal message. 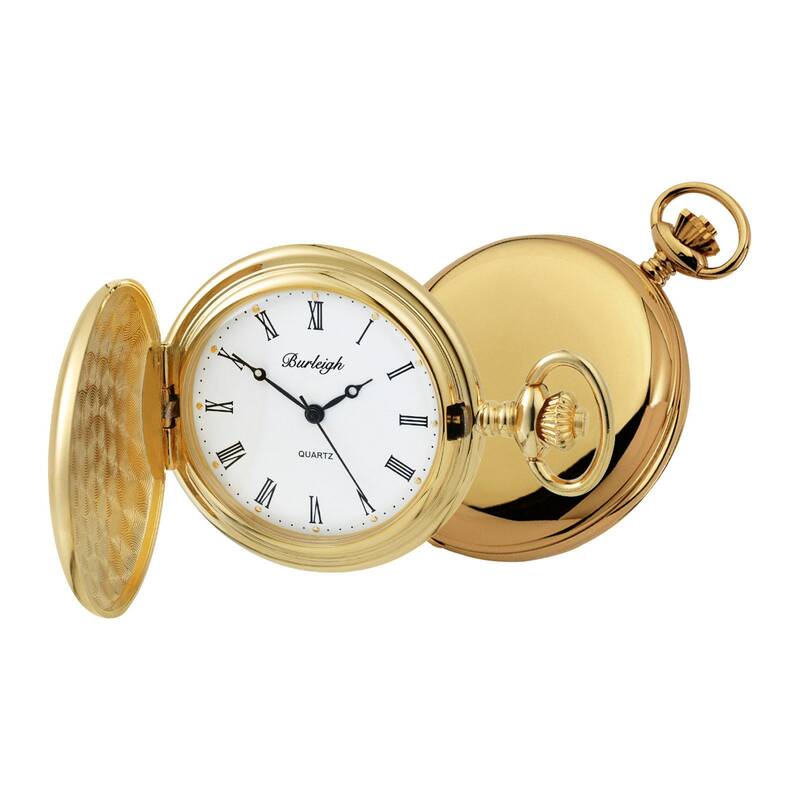 A classic style gold pocket watch from the Burleigh collection. 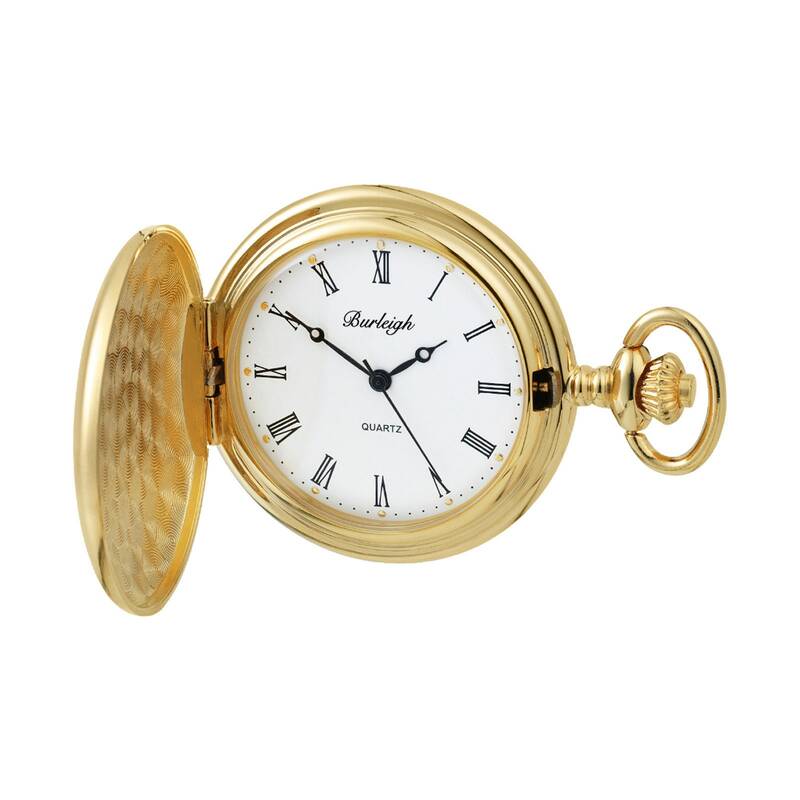 This quartz movement operates three hands designed in a classic style. 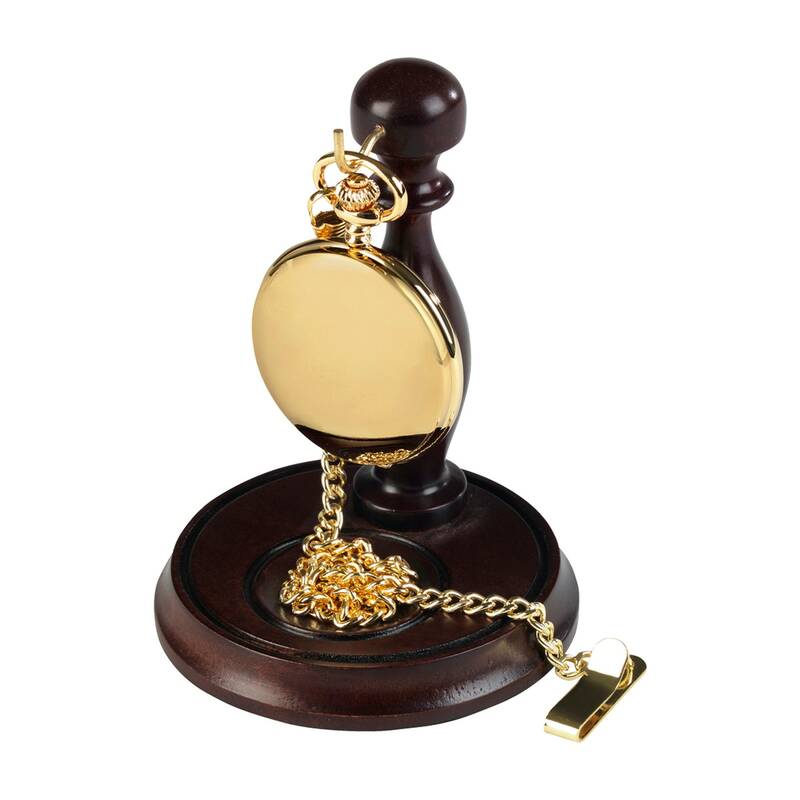 Supplied complete with wooden watch stand and matching belt loop chain.